When I have a design idea in my mind, I tend to get stuck on that as an only option. Especially if it is an economical one that will save me quite a bit of time. 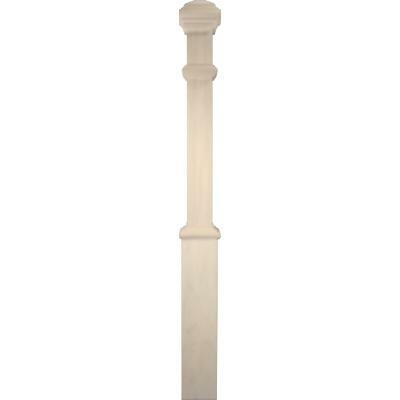 I went to the Horizons Home Show and found a newel post that I really liked (pictured below). 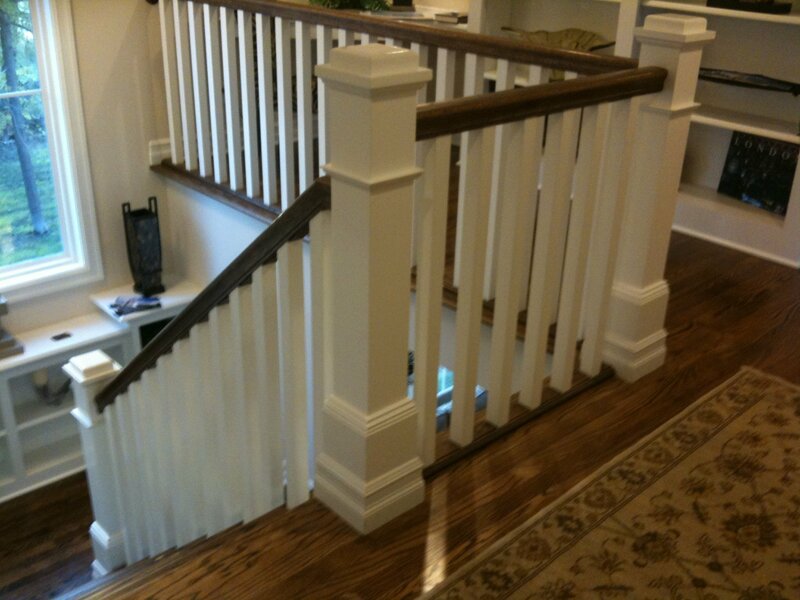 I decided that I had to have those posts in my latest fixer, but I didn’t want to go to the trouble to fabricate them. Lucky for me, I was able to locate the posts at Home Depot for about $65 each. The time savings in fabrication were well worth spending the $65. I could have purchased some 4×4 and then trimmed it out in poplar or MDF. I would still probably have been into it for $40-$50 per post without accounting for labor. To top it off the labor cost would have been higher and the quality of a site built post wouldn’t have matched the tight construction on a factory built post. I did have an issue when trying to locate the posts at Home Depot. They were not listed as in stock ANYWHERE. To top it off, similar posts from other manufacturers ran about $160 each. As an avid web user, I am always surprised by a large company who hasn’t yet embraced what technology can bring. When the post wasn’t in stock, I had to check the stock at each local store via the Home Depot web site. This was an in-store item only. None of the local stores turned up with a stock item for me. Worse than that, it displayed as in stock “at my local store” until I logged into the homedepot.com site. I called my local store and was essentially blown off. Called another and was basically told to come in and that they couldn’t check if an item was available elsewhere. Not too helpful. As the title mentions, this was a bit of a quest after I determined that I had to have the posts. I then called the Home Depot customer service line. They put me on hold and called a couple of local stores. The rep came back and told me that they pretty much blew her off as well and she couldn’t check inventory other than store by store. WTH? Can you believe that? She did ask if I would like to be transfered to “customer care” (she was “customer service”). “Why not”. The rep at Home Depot customer care was terrific. He let me know that their systems don’t allow a wide search, but that he can search within my city/region with a SKU. The item didn’t have a SKU on the web site (that was actually the primary issue with checking stock online). He went to the trouble to look up the SKU in their internal system and, with that, was able to search my region. He located my 3 posts at a local store and had them moved from the shelf to the customer service desk. My quest was over. I located my posts and picked up my posts at the Home Depot that happened to be the one closest to me. The customer care rep that helped me was awesome. I wish that more people at that company had the same attitude and willingness to help. His name was Charlie and he was located in Atlanta. Charlie’s direct number is 800-654-0688 x: 76503. Charlie, if you ever read this, sorry about the additional calls you might receive. Thanks for your help! The picture from Home Depot at the bottom of the page & the finished nowel post at the top of the page don’t even come close to looking the same. Where can I get the white nowel post at the top of the page?